Hit website Friends Reunited could be up for sale. 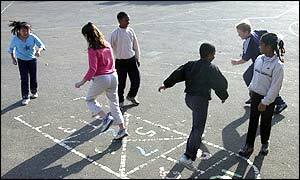 BBC News Online looks at how school-day nostalgia turned a dot.com idea into a runaway success. It reignites old flames, reunites school friends and even helps to fight crime. Now Friends Reunited, the site that became one of the UK's hottest web-venues last year, may be up for sale at �25m ($40m). Since its launch in August 2000, the site has signed up eight million members and become a household name among the 20- and 30-somethings. Users can sign up for free and post details - mythical or otherwise - about their life or spend �5 to contact a friend. The site's popularity spread by word of mouth, as new users trawled the database to discover school-day rebels had turned into management consultants, while misfits had blossomed into media luvvies. Even Paul Walsh, the chief executive of Diageo, the world's largest drinks company, appears to have posted an entry urging school friends to get in touch. But the site's influence has reached further than school-day meet-ups and the reliving of encounters behind the bike-shed. Irreverent entries by former pupils have attracted legal action from teachers, while fears of increased infidelity - with the "reunion" of childhood sweethearts - prompted counselling services to warn of the "destabilising" effect on society. And only last week, a cocaine dealer was jailed for seven years after boasting of "selling a lot of charlie" on the site. It has now transpired that the three founders, who own the site through their company HappyGroup, are reviewing their options for the future. Since reports over the weekend of a possible sale, Stephen and Julie Pankhurst, and Jason Porter have declined to give any interviews. Their options are to sell the site to an internet giant, such as Yahoo or Freeserve, or go public and use the money to bring in a new management. The idea for the site was born in July 1999 when Julie Pankhurst, an IT programmer, became pregnant. "She wondered what her old school friends were up to now," writes Stephen, her husband, on Friends Reunited. "Did they all have families of their own, still live in the same area, were they married, divorced, still alive!!" The couple, from Barnet, London, researched the internet and found Classmates.com, a US site that had also capitalised on school-day nostalgia. Seeing a gap in the market for the UK, Mr Pankhurst decide to set up Friends Reunited with his business partner, Mr Porter, in his spare time. By March 2001, the site had become a full-time job. "Every spare minute was spent working on the site - housework was ignored, plates stacking up in the kitchen along with takeaway boxes," writes Mr Pankhurst. Are the best days over? Today Friends Reunited requires the attention of about 10 people and employs a PR company to handle a barrage of media enquiries. HappyGroup has also launched sister-sites in Australia, South Africa and New Zealand, and set up a spin-off to trace family trees, called Genesconnected.com. School days - the happiest of your life? Significantly, Friends Reunited's exponential growth is slowing down. At its peak last year, the site was attracting 20,000 new users a day. Now it is more like 10-15,000 a day. Whereas the founders were keen to manage the "snowball effect" last summer, they may now be looking at ways to realise their investment or sustain that growth. "My personal view on Friends Reunited is that it may be a bit of a one-hit wonder," says Emma Judge, a user of the site. "People pay their subs up-front and have a bit of fun. Then the novelty wears off. "As a result, when the request for subs came up again this year, I decided to leave it." In the two and a bit years that Friends Reunited has been satisfying our curiosity about old acquaintances, it has proved phenomenally successful. But as its founders look at turning their hard work into hard cash, they will be wondering how a school-day craze can become a serious grown-up. "Friends Reunited is run from one laptop"
Friends Reunited: We'll meet again?